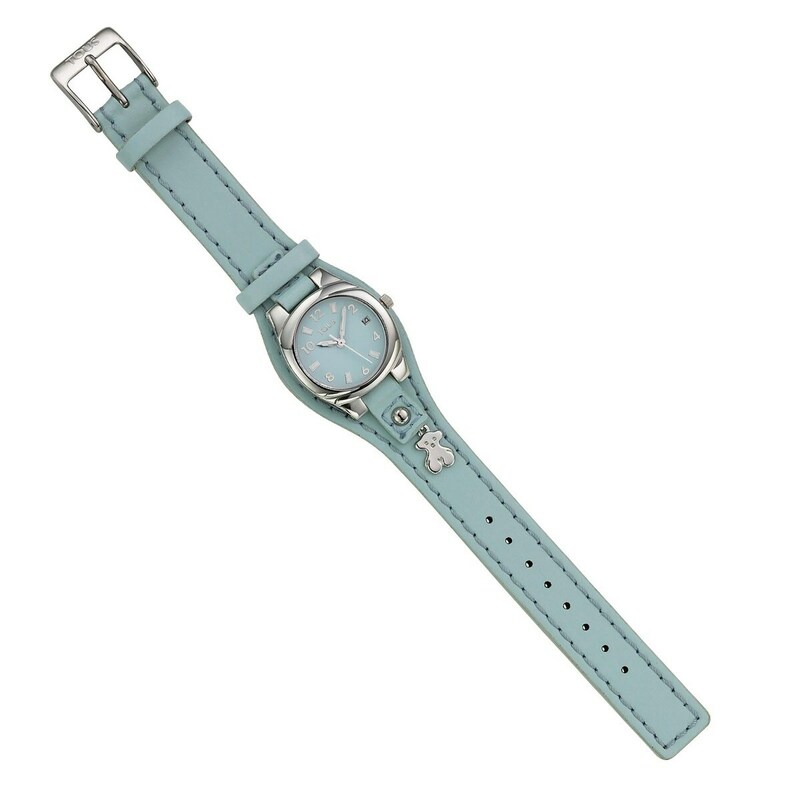 Surprise your little one with this special watch with powder blue leather strap and Tous bear pendant in steel. She can wear it anywhere. It's even water-resistant! Need we say more?